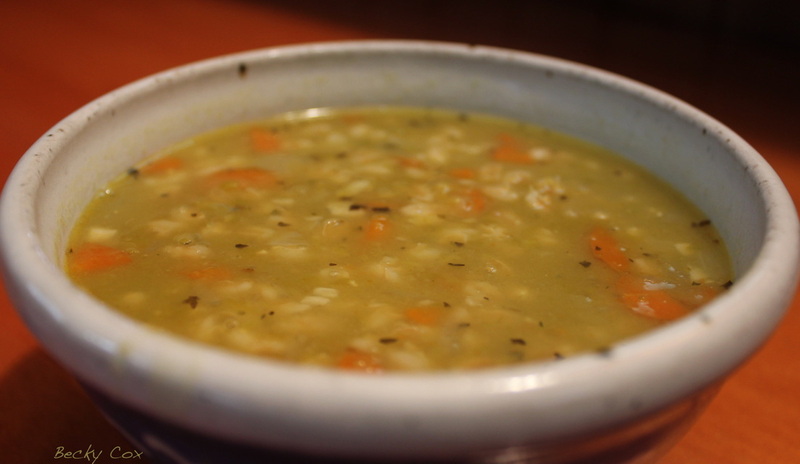 This Barley and Split Pea Soup is so delicious it is easy to forget how healthy it is. This soup is so easy to make yet has such incredible flavor. Heat a large saucepan over medium heat. Add 1 tablespoon of broth, lower heat to medium and cook the carrot, onion and garlic for about 2 minutes.